The most recent Touch Guitar design (introduced in 2017), the T8 is a less expensive semi-acoustic model providing significant variations on the successful AU8 model. Like the AU8, the T8 is a completely handmade hollow-body guitar, but it features a different and smaller body shape with an offset design designed to favour seated playing. 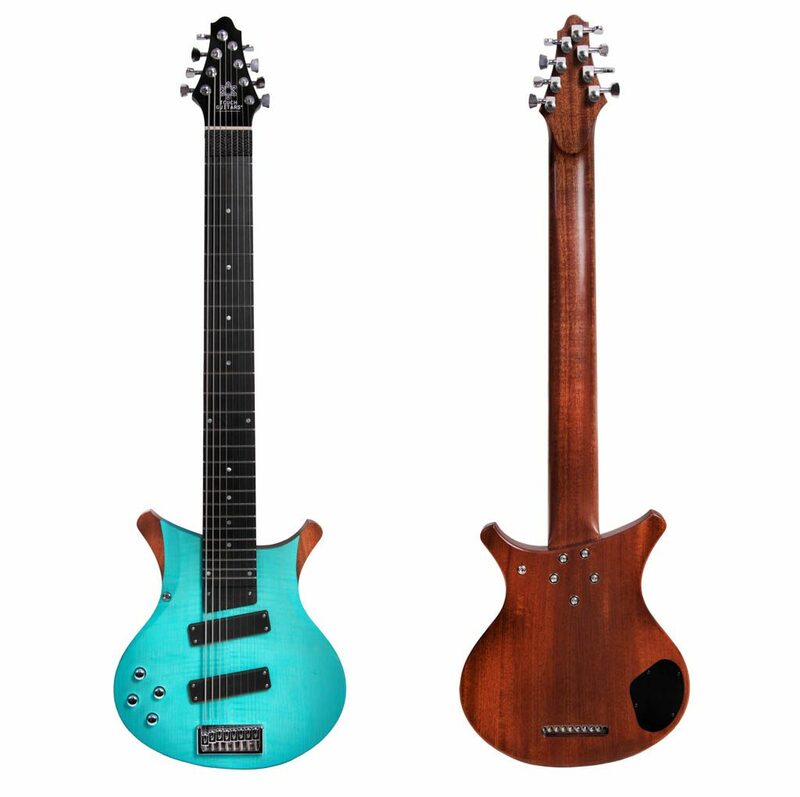 The design incorporates 3D-shaped horns plus extended cutaways for greater forearm comfort (and to enable easier access to the top frets from both sides of the neck). In contrast to the active-electronics-plus-piezos setup of the AU8, the T8 features passive electronics in a two-pickup/five-position arrangement (similar to that of a classic electric guitar) and a monophonic output. As with all Touch Guitars®, construction and finishing options (from wood types used through to custom paint and varnish) are discussed with and chosen by the customer, as part of the custom-creation process. As with the AU8, the T8 also features the option of choosing a distinct wood for the instrument’s top. In this short series of videos Stefan Huth explains the basic features of the T8.